Stephen Scourfield offers three stories about the passions and beliefs that consume the time we call our own - our unaccountable hours - whether in music, family, nature, love or friendship. In 'The Luthier', musician Alton Freeman devotes his life to crafting a violin that will reproduce the perfect sound of Bach's Partitas and Sonatas, as played by his idol, musician Monica Erica Grenbaum. 'Ethical Man' follows the biologist and birdwatcher Bartholomew Milner, who lives stringently according to his 'Milner's Ethic', and is put to the ultimate ethical test whilst on a research expedition in the Australian outback. 'Like Water' tells the story of an unlikely friendship and subsequent romance that develops between kindred spirits Matthew and Beatrice - two soulmates born generations apart. Firmly set in and inspired by the Australian landscape, Stephen Scourfield's writing draws from a well of more than a million kilometres travelled on the roads and tracks of Western Australia. 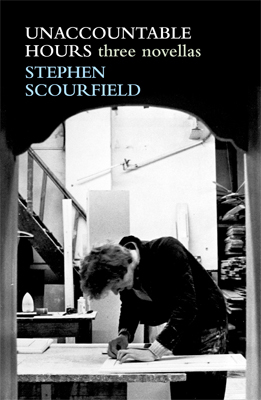 Exquisitely bound in masterful language that evokes landscapes both within and without, Scourfield's characters are deeply felt, both cosmopolitan and salt-of-the-earth, realistic and entrancing. Stephen Scourfield is passionate about travel, music and the wide brown land of Australia. His award-winning fiction and non-fiction includes the novel Other Country, which won the Western Australian Premier's Book Award for fiction in 2007, was shortlisted in the Commonwealth Writers Prize, and longlisted for the 2009 International IMPAC Dublin Literary Award. Stephen is currently the Travel Editor of The West Australian, and was judged Australia's Best Travel Writer in the National Travel Industry Awards in both 2011 and 2009. He is also a recipient of a United Nations Media Award.